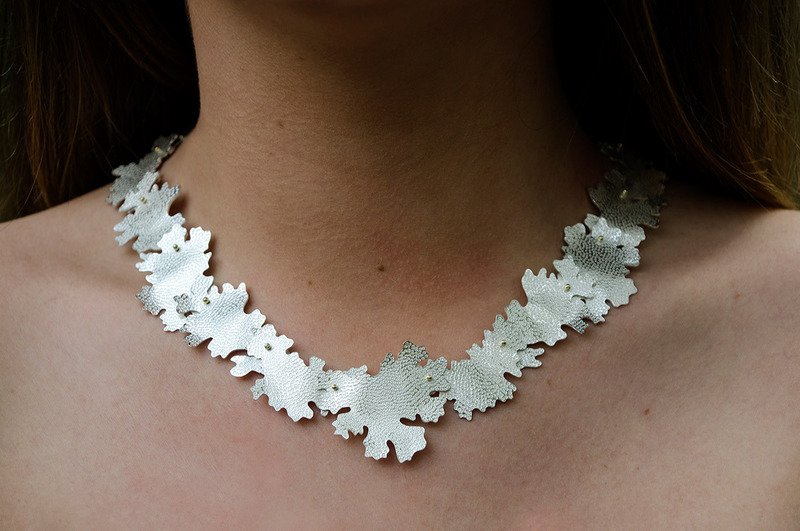 Kate Bajic is a British jeweller with over 14 years experience working with galleries and at exhibitions throughout the UK, Europe and the USA. Her distinctive pieces have been exhibited recently at the Museum of Art & Design jewellery show LOOT in New York, and Handmade in Kew at Kew Gardens, London. 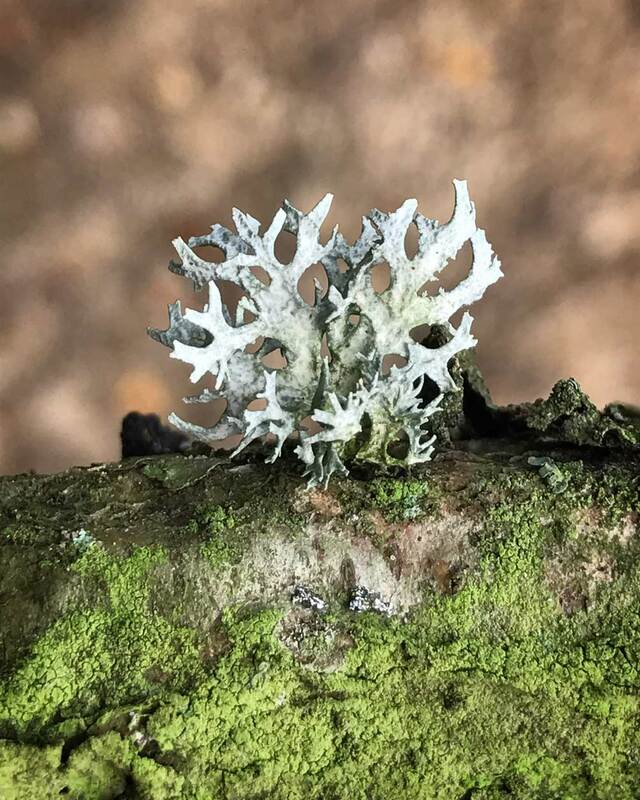 Inspiration comes from studying natural structures; in particular the varied colour, shapes and forms found in lichen. Through photography and sample collection, Kate examines their minute complexity and translates aspects of this into her work. She handcrafts pieces using mainly silver, which may be patinated to give striking colours, or coated with gold vermeil for a luxurious rich finish. Designs evolve through experimenting with layering, composition and playing with contrasting colours and textures. Describe a typical day in a couple of sentences? A typical work day for me starts with taking my dog for a walk over the fields behind my house, always with my camera phone to hand as I’m a photography addict! Then it’s off up the garden to my studio to get a few hours work in, I break for lunch for about 30 mins unless it’s a particularly nice day outside when I might get waylaid in the garden doing a spot of weeding on my way down to the house. I usually finish in the studio by 4pm as by then I need to stretch my legs and my eyes, so it’s the second dog walk of the day followed by catching up on admin and responding to emails. In your studio – what’s the first thing you see? (be honest- I can see an empty packet of chocolate digestives!) The first thing is my jewellers bench, I was fortunate to be able to buy an ex workshop double bench and I love it! Which artist living or dead would you like to meet and why? 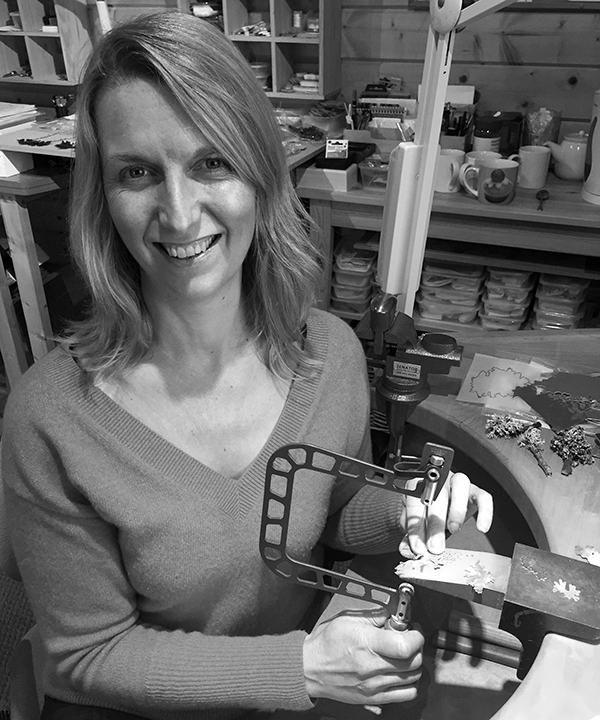 Jewellery artist Jacqueline Ryan, over the years I have been inspired by her dedication to her craft and the beauty and intricacy of the objects she makes. Her skill as a craftsperson is undeniable and the way she translates aspects of nature into her work is both subtle and sensitive. Name your idle pleasure? Long soaks in the bath reading a book with a glass of G&T is my ultimate treat, doesn’t happen very often though. Otherwise just enjoying being out in my garden in the sun. Tell us a surprising thing about you? I once did a static line parachute jump for charity, it was amazing but I was so relieved I survived that once was enough! What helps you to focus? Deadlines, definitely! Though they also stress me out. If I feel I’m getting too complacent I will try and challenge myself by applying for something completely different or take on a project outside my comfort zone to shake things up a bit.